A Democratic Capitol Hill staffer, he was actually a paid “fellow” in Representative Sheila Jackson Lee’s office, was going to target more than just the GOP Senators of the Judiciary Committee. After his arrest, Jackson Cosko was denied bond as a threat to the community. Searches were then conducted of his home, car, and storage units and more information was then uncovered about what he was planning to do in addition to what he did to the Republican Senators. Was was not clear before was that he had actually broken nto the office of Senator Maggie Hassan. Oh. Drugs too? 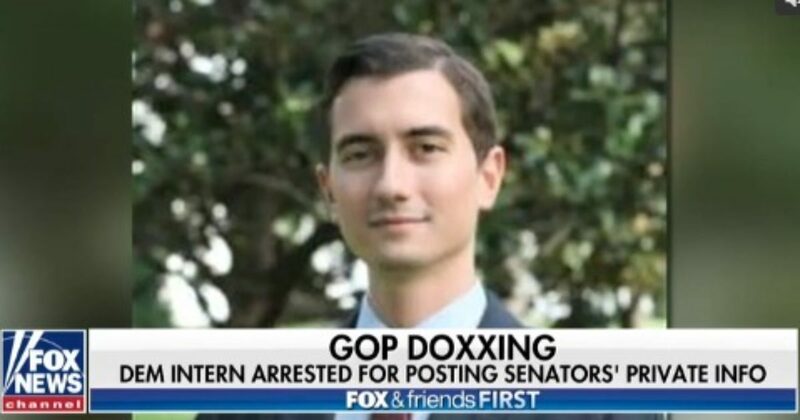 A Democratic Capitol Hill staffer, who was arrested last week for allegedly doxxing several prominent Republican senators, may have been planning more attacks, prosecuting attorneys have revealed. Jackson Cosko was denied bond in a hearing Tuesday, The Washington Times reports. A D.C. judge determined Cosko was a “threat to the community” after prosecutors revealed further details of Cosko’s arrest and subsequent searches made of his home, storage unit, and car. Cosko was arrested last week after authorities discovered he was behind a series of “doxxing” attacks; Cosko allegedly posted the private addresses and phone numbers of several GOP senators who serve on the Senate Judiciary Committee. The information appeared on each senator’s Wikipedia page almost immediately after Sen. Lindsey Graham (R-SC) concluded a fiery indictment of Democrat behavior during a hearing on sexual assault allegations leveled at now-Supreme Court Justice Brett Kavanaugh. A bot, which monitors edits made to Wikipedia from Congressional computers, caught the changes immediately. It took only a few days for investigators to track the….